Brides to be, if you haven't already heard, the entire Halcyon Days collection will be heading to our beautiful stockist The Bridal Atelier this month for one weekend only in both Sydney and Melbourne. I will also be there to meet all of you and talk weddings, bridal fashion and answer any questions you may have! 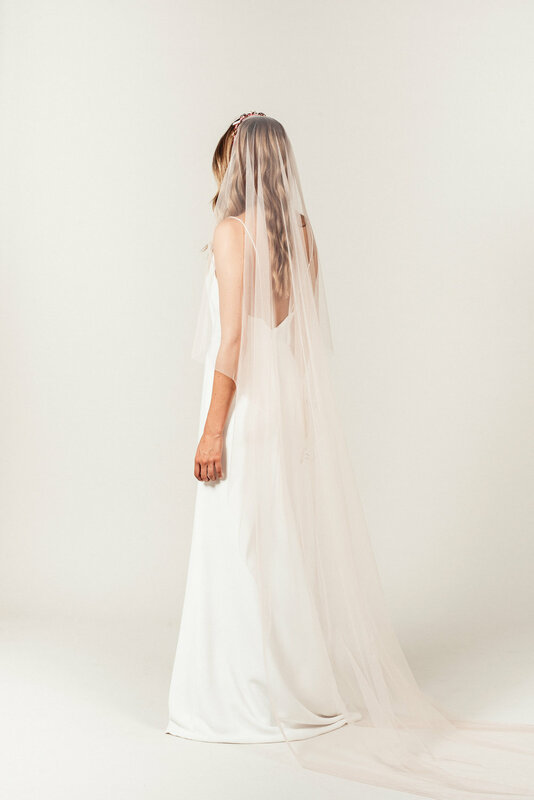 The crown veils made in collaboration with Sydney jewellery designer JY Jewels will also be at both trunk shows... a must have for the modern bride! They are the epitome of modern romance. Each crown veil is handmade by both JY and myself and the crowns and veils can be mixed and matched! The Sydney trunk show will be on Saturday 12th May and the Melbourne one on Saturday 19th May. If you haven't seen the wedding gowns in this collection, here are a few shots to get you excited! Designed for our relaxed, modern and fashionable ladies, while still remaining very wearable so you can feel comfortable on your big day!